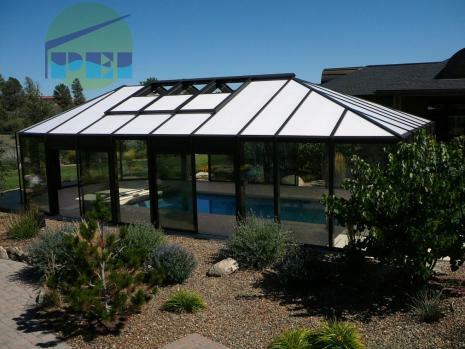 A custom hipped roof 25' x 45' freestanding pool enclosure built in Northern Arizona. Designed for high snow loads. 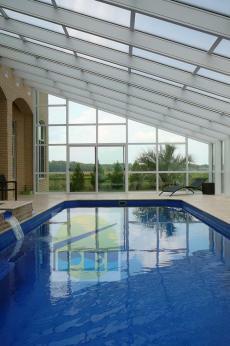 The above structure has 25mm opal 5-wall polycarbonate roof glazing. If your worried about too much heat gain we also supply 25mm athermic 5-wall polycarbonate with heat reflecting properties that will reduce interior heat by 30%. Please call us at 877-734-2006 or e-mail us from our contact page for more information and an estimate. 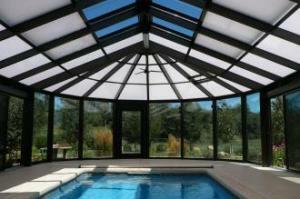 Another custom conservatory style swim-spa and hot tub enclosure designed for high snow loads. 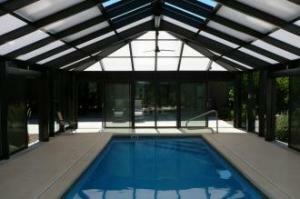 The indoor swimming and fitness center has an attached walkway to the glassed area under the porch for an ideal airlock entrance. 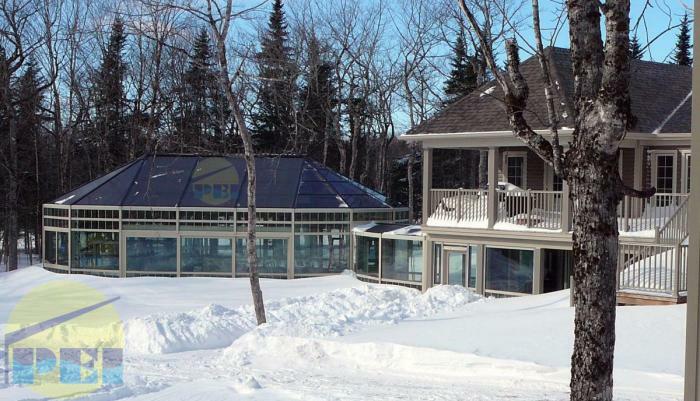 The interior is heated with in-floor radiant heat and combined with energy efficient insulated glass and multiwall polycarbonate makes for a comfortable year 'round solarium.